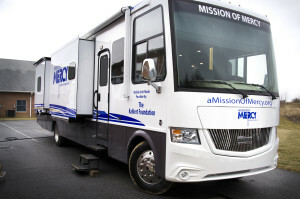 The Situation: Mission of Mercy is a nonprofit organization that provides free healthcare, dental care and prescription medications through a mobile medical clinic. Unfortunately, they were badly underfunded in one of the communities they serve – Gettysburg/Adams County Pennsylvania. The nonprofit organization determined that unless it could raise a minimum of $50,000 from that community, it would need to discontinue the once a month clinic. 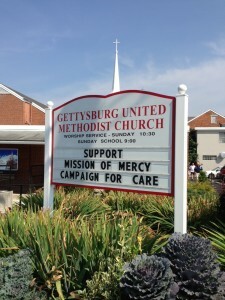 The Solution: Mission of Mercy’s then Executive Director, Jennifer Charlton, determined that a localized effort centered on the county’s churches and community leaders was the fastest and most direct way of getting out Mission of Mercy’s message. She created the nonprofit’s three-month “Campaign for Care” to ask the community to support the life-saving services Mission of Mercy provides. Marketing @Work provided important marketing and communications support to the campaign, with a strategic plan that included articles for church newsletters, newsletters and enewsletters, ads in the local newspaper, a social media campaign, and an intense media relations program. 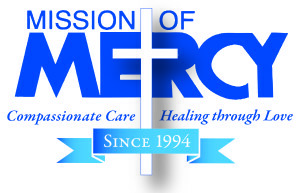 As a result, Mission of Mercy received five articles in local and regional newspapers, and donations poured in! The campaign raised more than $100,000 in individual donations and a matching grant. Most importantly, the clinic was able to continue providing approximately 550 medical and dental patient visits to patients who otherwise may well have gone without care. “Diane’s heartfelt commitment to Mission of Mercy and her steady approach resulted in developing relationships and increased visibility and appeal in markets where we had been relatively unknown. “Mission of Mercy saved my life.” The words of many patients. Situation: Fenestra Technologies Corporation, a highly successful IT company that had recently relocated from Germantown to Frederick, was interested in increasing its profile in the community. Although most of their potential clients were in the greater Washington DC area, Fenestra’s goals for increasing their visibility included attracting highly skilled employees, forming beneficial relationships with the local business community, and contributing to Frederick’s nonprofit and arts community. Founded in 1996, Fenestra invented creative IT solutions to complex business problems. Most of their clients were large corporations, such at Lockheed Martin and Westat, or governmental agencies like the U.S. Census Bureau and the National Archives. Fenestra originally hired Marketing @Work to create a public relations program that would provide the desired visibility, and position Fenestra as an attractive workplace for creative IT professionals seeking an entrepreneurial environment. However, it soon became apparent that the increased visibility would drive more visitors to their website, and the one-page “placeholder” site didn’t showcase Fenestra’s unique selling proposition (who they are and what they offer) to either potential clients or potential employees. An updated logo that retained elements of the original logo, but also communicated the strength and success of the company. A new tagline that reflected Fenestra’s unique selling proposition. A fully-optimized website featuring content that spoke directly to the concerns and issues of potential clients, and describes why Fenestra was a desirable employer. Instead of the nondescript “high tech” images seen on so many websites, we used beautiful illustrations of iconic Frederick themes by local artist Ellen Bryne to connect Frederick’s vibrant IT and arts community with the creativity of Fenestra’s work. Colorful banners for Fenestra’s office. Located at 47 E. South St. in downtown Frederick, the building is a beautiful facility built to blend with surrounding historic buildings. The banners utilized the same artwork as the website. Fenestra earned a slot as a Maryland State Small Business of the Year semi-finalist. 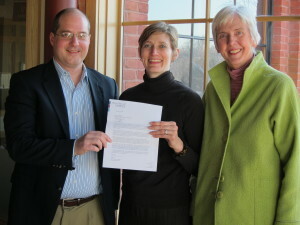 Fenestra was recognized during the Frederick City Office of Economic Development’s Business Appreciation Week. A side note: In January of 2015 Fenestra was acquired by Westat, a leading research organization headquartered in Rockville, Maryland, with total revenues of about $500 million. 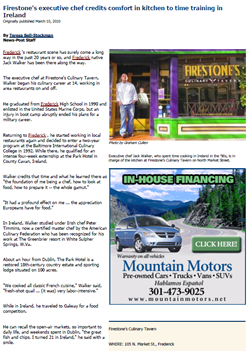 Situation: Firestone’s Restaurant, a 10-year-old restaurant in downtown Frederick’s historic district, was changing its name to Firestone’s Culinary Tavern. The restaurant was seeking media exposure around the name change, as well as recognition for their outstanding cuisine and their “Market on Market” boutique grocery store/deli. Solution: Marketing @Work met with owner Kim Firestone and the staff to understand their goals and the attributes of Firestone’s that make them a popular and respected part of downtown Frederick. We then created a media relations plan that included a series of news releases, individualized follow-up phone calls to targeted media, and creating a travel package in conjunction with the Marriott Frederick Fairfield Inn. We also worked with Firestone’s to increase the content of their website, and to add a blog, which allows for robust and continually updated content. This drives traffic to the website and provides on-going information for media. Firestone’s received several major feature print articles, and sections of the news releases have been published on dozens of food, drink and travel blogs.